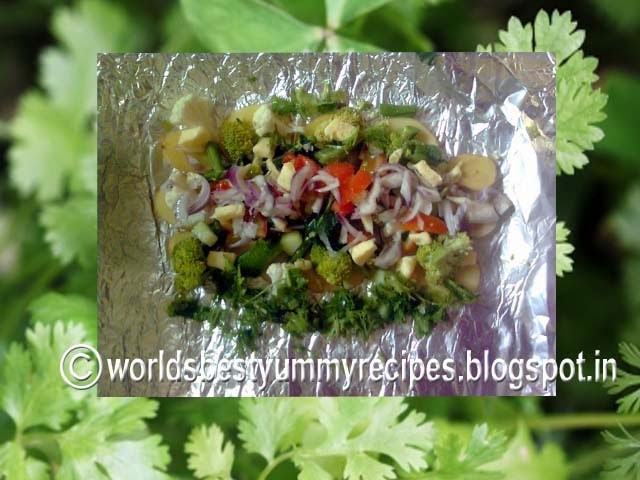 Veg parcel is steamed and healthy recipe , Easy to cook. I like the dish because of its buttery smell. I have made four parcels from below ingredients, Its upto you which veggies you want to select and the proportion too. 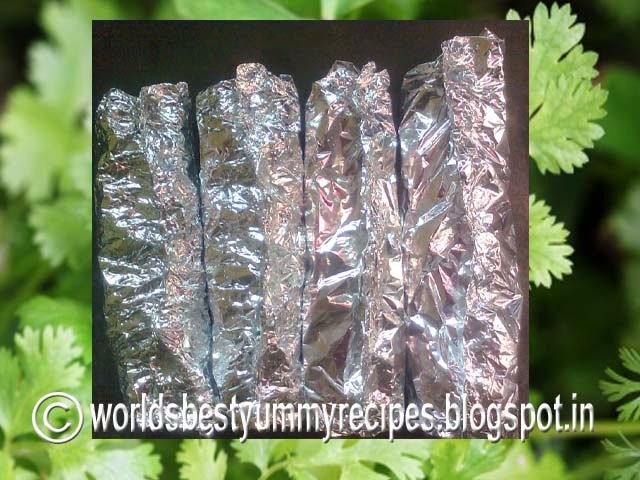 Tear Aluminium foil into large squares. 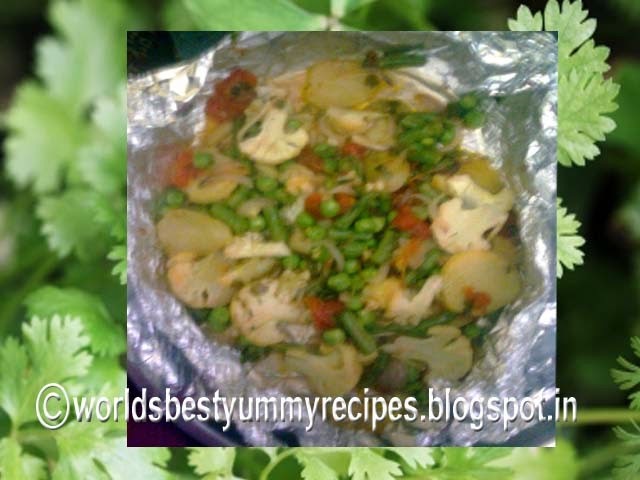 Put chopped potatoes, onions, cauliflower, Tomatoes, green chillies, peas, Beans, Broccoli, Salt, Butter, Black pepper powder, Coriander leaves. Fold the foil loosely to make air pocket but Seal the edges very carefully that steam should not escape. Heat the pan, put the Parcels on it and Cook for 15 mints. Open the foil very carefully, some moisture will be there. And all the goodness of the vegetables is retained and not poured out with the boiled water. I love steamed vegetables. I will even steam them for lunch when in the mood and gobble them all up for myself.